All vehicles have cup holders, but does yours have soft rubber-like removable coasters in the bottom of them to catch drips, condensation or general muck? Some vehicles do, most do not, until now! Ordinary cup holders are difficult to clean, and seem to catch all kinds of crumbs and other debris, making them disgusting. Thankfully, WeatherTech has you covered with our Car Coasters! These coasters catch and hold messes others can’t, allowing you to lift them out with ease when it's time to clean. Keep your cup holders spotless with our WeatherTech CarCoasters. These cutting-edge cup holder protectors are made with the same enviro-friendly TPE material used in our All-Weather Floor Mats. 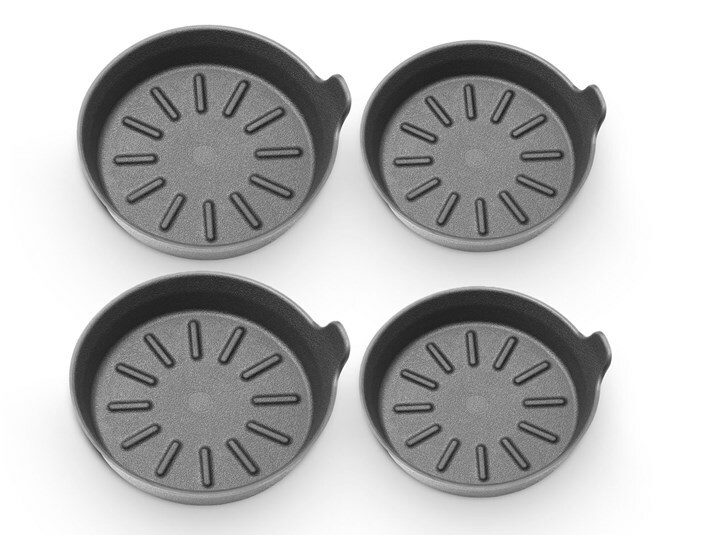 Just like our FloorLiners, these coasters feature a deep cup design with added sidewall protection that cover the bottom and sides of your cup holder. You won’t find that kind of coverage from any other car coaster out there! 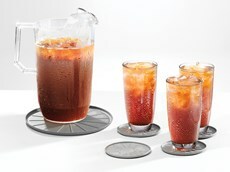 Produced with a unique textured and ribbed pattern that ensures your drink will never get stuck allowing your beverage to perspire, while raising it away from the mess. Molded, specialized finger handles make removal and cleaning a breeze. Our car coasters were designed, engineered and manufactured right here in the USA. CarCoasters come in a four (4) pack containing two different sizes. Two (2) large coasters measuring 3 7/16" in diameter and two (2) small coasters measuring 3 1/8" in diameter. Both sizes have a 5/8" tall sidewall. Four (4) coasters per pack. Includes: two (2) large coasters measuring 3 7/16" in diameter and two (2) small coasters measuring 3 1/8" in diameter. Each support a 5/8" high flared sidewall. Fits the bottom of virtually all factory vehicle cup holders. Removable, washable and dishwasher safe. Deep cup shape with added sidewall protection catches and holds spills, condensation, crumbs and other messes! The coasters measure 0.06" thick. What’s the best way to clean car coasters? Car Coasters can be easily vacuumed out, and for those stickier messes can be removed and washed with dish soap and warm water with a gentle brush. Are the coasters stain resistant? Yes! Car Coasters will resist staining, however routine maintenance is recommended to prolong the life and integrity of the product. Are CarCoasters available in different sizes? Yes, CarCoasters come in a four (4) pack that contains two (2) large and two (2) small sized coasters. The two (2) large coasters measure 3 7/16" in diameter and the two (2) small coasters measure 3 1/8" in diameter. Please note that the side walls are flared and will conform to slightly smaller diameters.